Earlier this fall my 13-year-old son gave a presentation to my school staff (also his school) about autism, entitled “Dear Teacher: A Letter From H” and thus had the opportunity to teach teachers at his school about the way he experiences the world! We followed this powerful presentation with a screening of the documentary Vectors of Autism. And, yes, if you are wondering, I am highly appreciative to the teachers and administrative team for being open to hearing H’s message, and for taking the time to watch the film. I am also very proud of my son! What I have been so moved by is the way that one young voice can make a difference. There are changes that need to happen so that as a society we do a much better job of listening to those (both children and adults) who are on the autism spectrum. However, there are fabulous things happening with the work so many are doing to support and promote the voices of self-advocates. We need to be listening to autism… and even one voice and one school at a time is important progress! I will continue to look for ways to support my child in his journey of self-understanding, self-acceptance, and self-advocacy, and I know that many of you are the same path. Our wonderful children need to be fulfilled in being themselves rather than trying to channel the neuromajority to gain acceptance, and we need to support them in gaining the skills and attitudes of resiliency and self-worth as they make their way. At the end of the day – when I got home from my meeting – H was puffed with pride at his accomplishment. This, THIS is empowerment!! Here are some of the responses from the teachers with whom I work… and H’s teachers!!! The phrase that was going through my head as H presented to us was ‘this is my typical’. It reminded me of LGTG youth coming out of the closet, in a way. I also felt as I watched that there is a little bit of autism in all of us. I really liked knowing, as an educator, what is typical is for H. It taught me a good question to ask would be: “Tell me what your typical is because if I know that I can do a better job supporting you.” This is a new way of understanding and learning about autism for me. Next week H is again sharing his Dear Teacher presentation, this time with the wonderful group of teacher researchers from the Supporting Diverse Learners Field Studies Graduate Program. And… we are working to make a video of H’s presentation – which may soon be coming to a site near you. No. Really! My boy H is rocking his self-advocacy skill!! This entry was posted in Arizona TASH, Autism, Communicate, Documentary, Laura Nagle, neuromajority, promote social understanding, Teacher, Vectors of Autism and tagged acceptance, advocacy, Dear teacher: A letter from Harrison, Laura Nagle, listening to autism, Perspectives, resiliency, self-advocacy, teacher, Teaching teachers. Bookmark the permalink. Thank you, E. I agree, H will be spectacular! I would love to see the entire powerpoint. Is it available online anywhere. I have a 13 year old son as well. The film Vectors of Autism: A Documentary about Laura Nagle is available for purchase – and would make a wonderful Christmas gift or???. Thank you for your interest and encouragement. How cool that we both have 13-year-olds!! This is AWESOME! I love the teachers’ responses, and how they show authentic understanding. Great work guys! I was very moved by the teacher’s responses as well. This is a wonderful example of why we need to recognize the power of giving voice to those on the spectrum to SPEAK for themselves and to share their experience!! Love, love, love it! Way to go H. and kudos to the school for listening. 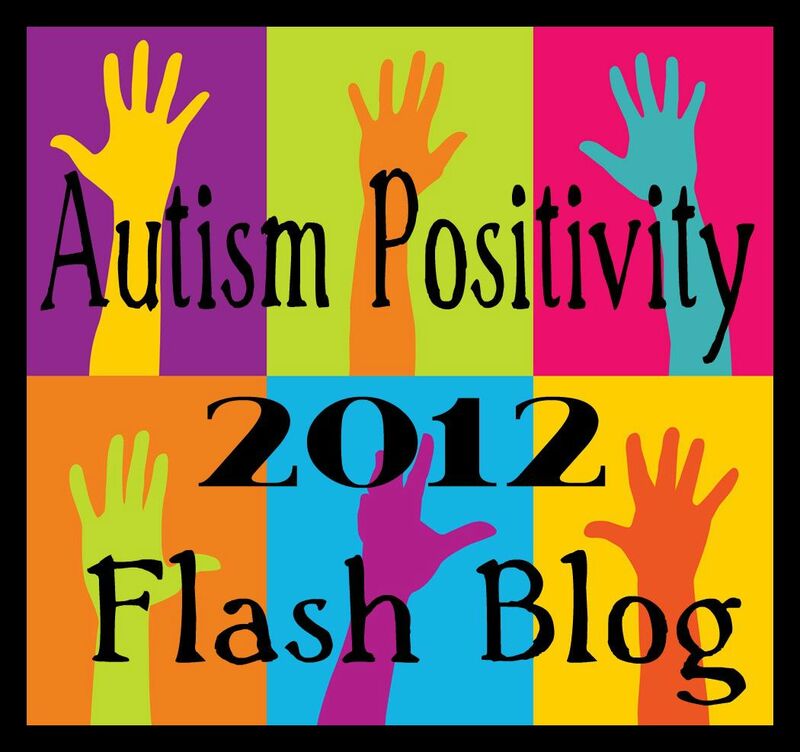 So glad you and H. continue to spread the word and to share Laura’s “Vectors of Autism” too. I finally heard back from M’s former school and will be scheduling a meeting with the new head of the school hopefully in December. I plan to ask to talk to her former teachers and school counselors. I think I will also suggest Laura’s movie as a teaching tool. Wonderful post. I am truly impressed by H’s courage, and I look forward to the presentation or video thereof. I know that when I was thirteen, I definitely could not have done that (even if I had known at the time that I was autistic). Kudos to you, H – it sounds like you’ve done a great job. Wonderful responses from the teachers. Do you plan to post any more? I’m really glad that the presentation H put on made them think, and gave them another viewpoint. I think if you look at the links above (the ‘pingbacks’) you might find some other information that would be of use for your meeting. H will be selling a DVD of his presentation at some point – but I am sorry to say, we do not yet have the workings for that set up via the internet.